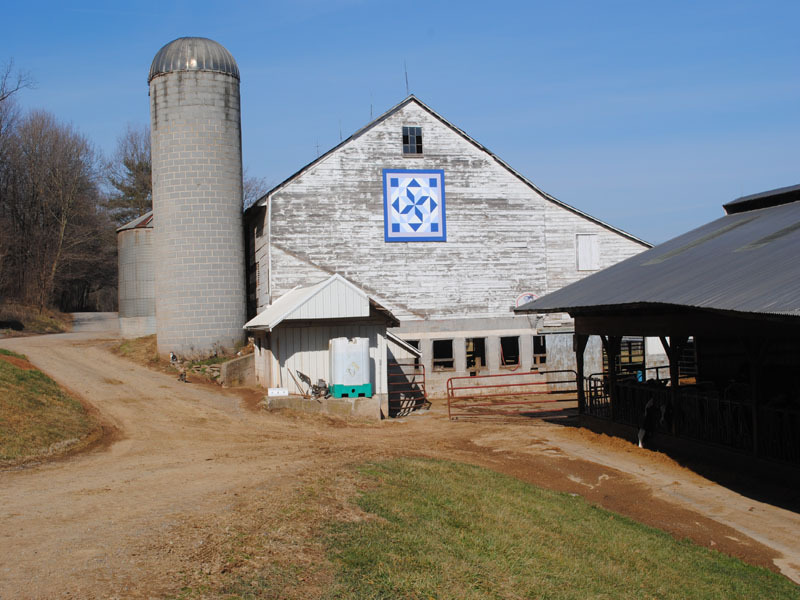 "Misty Mountain Dairy bleeds blue and white! Since all of our family members and spouses hail from Penn State in some fashion, the colors that honor the Nittany Lion were chosen to grace our barn quilt design. We are . . . Penn State!"